The perfect starter kit to help you build a successful consultancy business! If you’re looking to take your consultancy practice to the next level, or even start from scratch, then this kit is perfect for you. It includes all the fundamental tools and training to begin a profitable advisory engagement with clients. 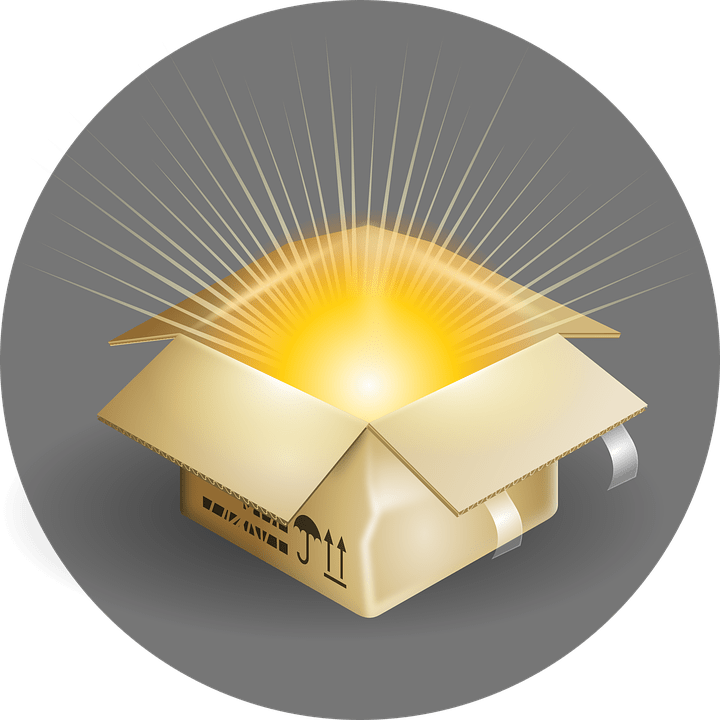 This product will show you how to earn $15k to 30k in annual client fees and then give you all the tools, forms and resources to get started. Start your practice with a bang in 2018! ….see our video trailer below , then either order on our 30 day money back guarantee and have access to a full working copy in minutes or ask for a product demonstration. Developed over 20 years with the investment of millions of dollars in software, video and client methodology. Hundreds of client assessment questions, ideas & tools. We provide you with a complete training kit for yourself. If you want to build a highly successful practice then this Consultancy Fundamentals training course is a must! Video recording of 7 passionate presenters covering core topics. “High Performance Consultancy – Lead Generation” video training. “High Performance Consultancy – Win profitable clients” video training. “High Performance Consultancy – Coaching v. Consulting Secret” video training. 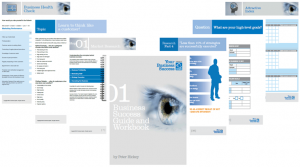 “Your Business Success” 165 page workbook containing a strong client structure. This course is designed as a one day course to teach you the fundamental skills to establish a profitable consultancy. Whether you are new to consultancy or an established consultancy looking to expand your practice then this course is perfect. 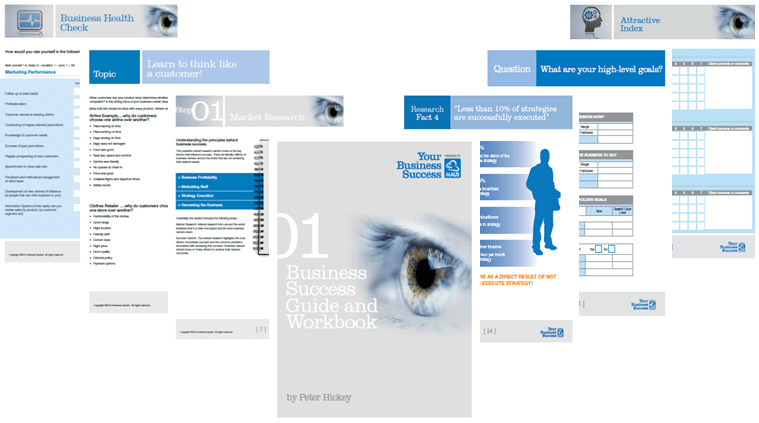 You will receive a 165 page colour client workbook that contains hundreds of ideas, diagnostic questions, forms and planning guides, that help you analyse and improve your clients business. These well presented forms include sample responses so it is simple and easy to use. 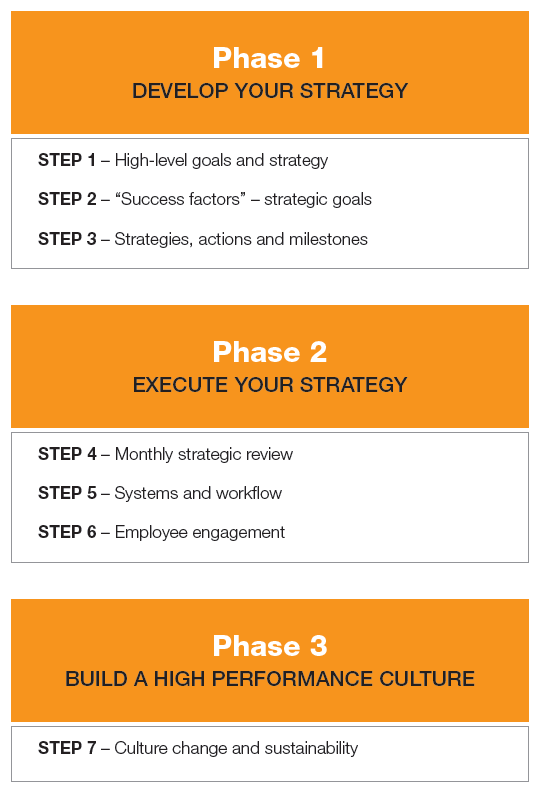 This client methodology is based on the best selling “Your Business Success” coaching program. This is a colour workbook broken into byte size PDF’s that lead your client through the process. Help your client take their business to the next level with this 7 step methodology contained within a colour hand book. Completely structured, off the shelf and ready to go! 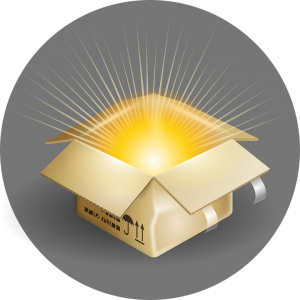 The pack includes the MAUS Client Needs Health Check & Cloud Software. This will help you to conduct an initial audit of your clients business in minutes. After you finish your client assessment, all you need do is press a button and the software will automatically generate an impressive 15 – 41 page report. 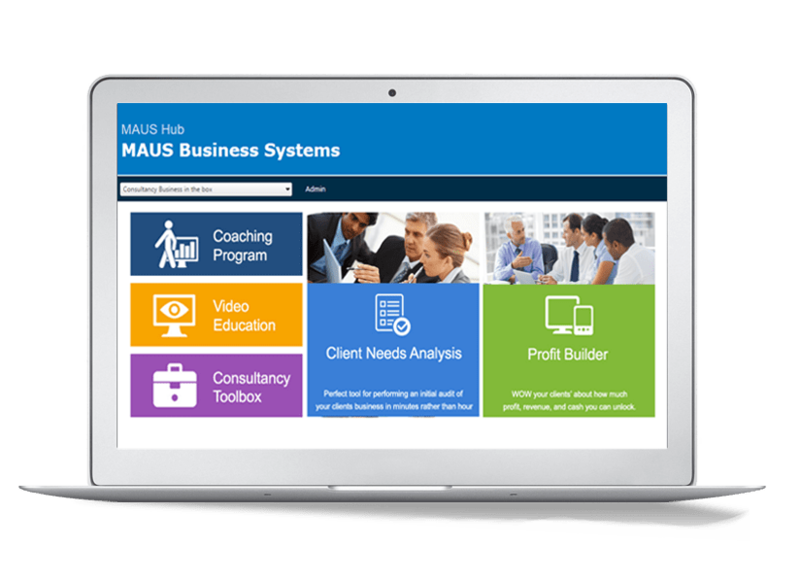 The pack also includes the MAUS Profit builder “What If” modelling cloud software. This will help you to quickly analyse your clients business and conduct a simple “What If” scenario to see how they can grow. 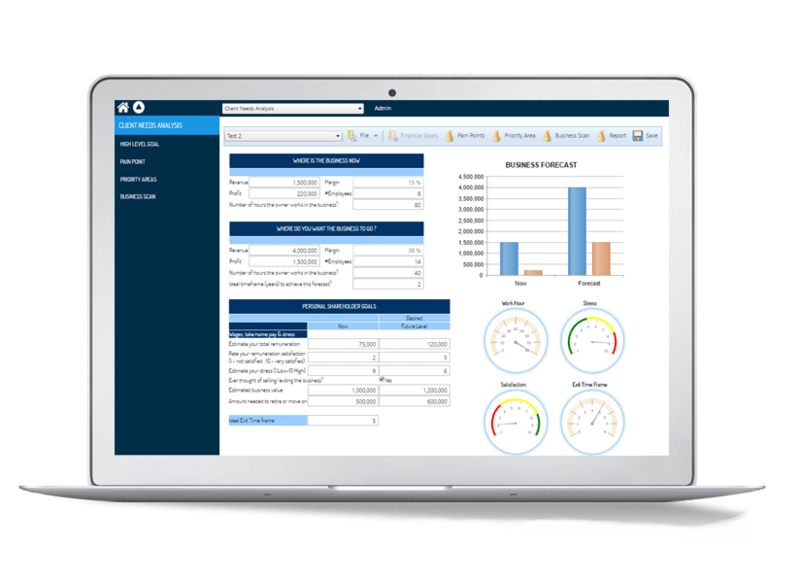 The software is supplied complete with diagnostic questions, simple sliders and dials and a powerful report generation module that will help you to provide maximum impact. Over 150 sample forms, templates, tools, diagnostic questions and letters to get you started. The software automatically compiles a professional client needs analysis report based on a core set of diagnostic questions that you ask at your first meeting. This dramatically reduces the stress and ‘unknown’ when first engaging with a client by having a structured approach that is effective for all clients. And with the click of a button, the software will automatically produce a professional needs analysis health check report. The Diagnostics are split into 3 different sections. The first discusses the high level financial and personal goals. The next level is about understanding what keeps the business owner/manager awake at night. The third section reviews the common best practice systems that should be in place such as Business Plans, Financials, Budgets etc. The software will then auto create a gap analysis report and an action plan. Sample Lead Generation Programs and much more..
Assess and generate documentation/reports for your clients business in minutes rather than hours. Goals, Pain Points, High Performance Business, 30 question checklist.